Support healthy digestion system with TropiClean Life ProBiotic Dog Supplement. It contains prebiotics and probiotics plus coconut oil for healthy digestion. 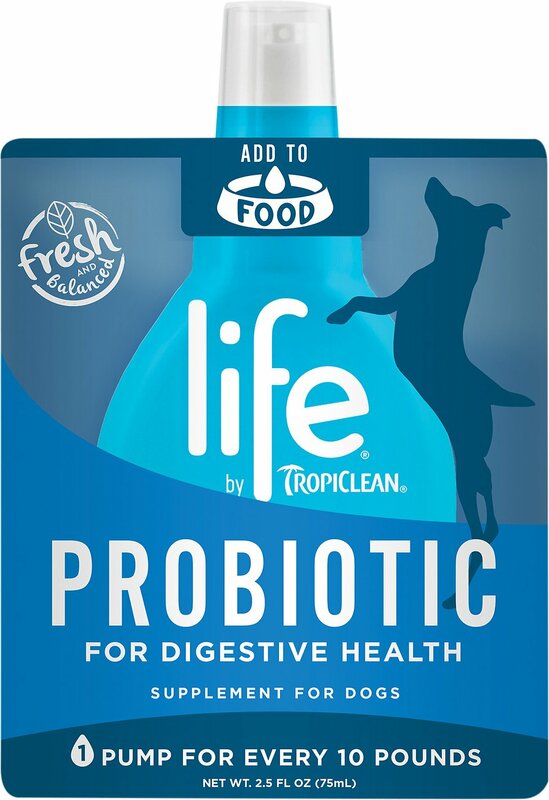 Enriched with vitamins A, D3 and E plus omegas from a three-seed blend of sunflower, flaxseed and canola oils, TropiClean Life ProBiotic Dog Supplement is ultra-concentrated with natural antioxidants from sustainably caught Norwegian salmon and Alaskan pollack from the Bering Sea. Just add one pump to your dog's food a day for maximum health results. Promotes heart health, immunity, digestion and overall health. Great for all lifestages and all breeds. Just add 1 pump to your dog’s food for every 10 lbs he or she weighs. My pup has really bad breath. I brush his teeth everyday, put pet fresh in his water, and I didnt know what else to do. I researched and found out it it may be his stomach, so I bought a probiotic the first one he wouldnt go near his food and than i ordered Life probiotic and no problem. no odor,no taste he loves it. Great product and not expensive. My dog has stomach issues and this has really helped her tremendously. My dog has a sensitive stomach and gets diarrhea easily. This is the only thing that makes his poo normal. 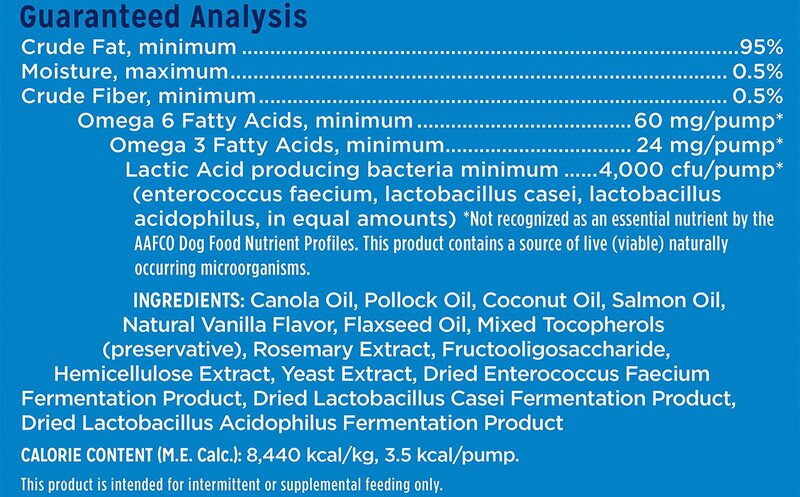 My dogs refused to eat food with the tropiclean life probiotic dog supplement on it. I used as instructed one small drop. Tried three different feeding not in a row with no luck.